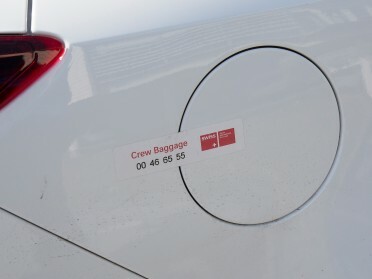 Hypermiler Felix Egolf drove an Insignia from Lucerne, Switzerland, to Cuxhaven, Germany – and back – without stopping for gas. Egolf, who hails from Switzerland, makes a stop on his way to the North Sea to talk to Opel Post about how he successfully carried out his plan. Strength lies in serenity; the Swiss like to take things slow. Felix Egolf is the perfect embodiment of these two pieces of wisdom, and he is prone to setting records that would be impossible without the two qualities. It’s not about racing against the clock, but rather, against the tank. 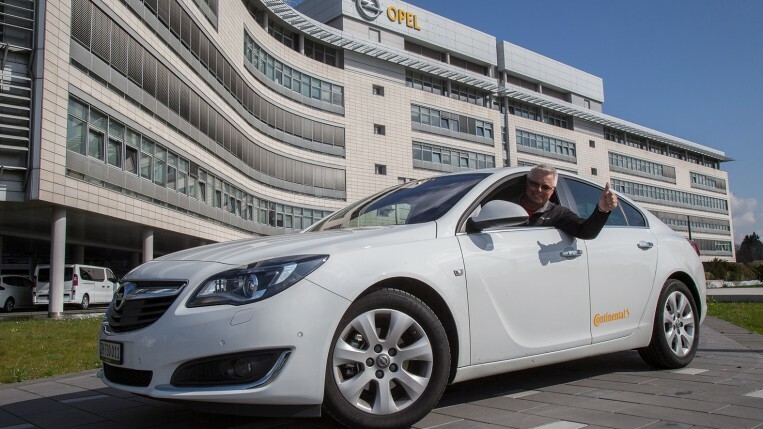 Last week, the former professional pilot achieved his life-long dream when he became the first person ever to travel a distance of 2,000 kilometers without refilling the gas tank – a feat he accomplished in an Opel car. The exact distance covered was 2,111 kilometers. “The car has a huge gas tank, a highly efficient motor, and excellent aerodynamics,” Egolf says about the strengths of the Insignia 1.6 CDTI ecoFlex that features start/stop technology and 136 horsepower. But even with these favorable conditions, pushing the limits of efficient-driving requires experience and the right set of tricks. It all comes down to the planning: Felix Egolf and his itinerary. A highly efficient motor and excellent aerodynamics: Felix Egolf went on a long journey in the Insignia 1.6 CDTI ecoFlex with 136 horsepower with the aim of getting over the 2,000 kilometer hurdle with a single tankful of gas. 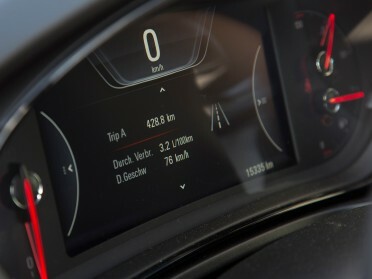 Taking stock: The average rate of fuel consumption after 428 kilometers is 3.2 liters per 100 km. Forbidden fuel: The tank cap is sealed as a precaution. Take your time on the road: Drive without time pressure and set out early. Maintain a safe distance: If you stay at least two seconds behind the vehicle ahead of you, you can slow down by simply taking your foot off the gas pedal. ‘Waste-free sailing’ is how Felix Egolf puts it. Catch a draft: The optimal speed to maximize distance on the highway is 90 km/h. Travelling two seconds behind a truck saves an additional 10 percent of gas. Upshift early: Upshift from first gear after you travel the length of your car. Egolf drives at 1,100 rpm in fifth gear in urban areas. Adapt to the terrain: Drive in the highest possible gear when going uphill; coast when going downhill. Find the right curve: If the traffic allows, avoid making sharp turns in order to keep your speed as constant as possible. Optimize the car: Don’t carry unnecessary weight. Fuel consumption increases by 0.3 liters per 100 km for every 100 kilograms of extra weight.